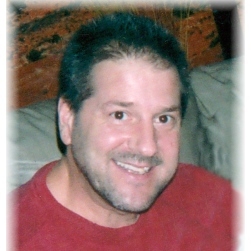 Glenn Antoine Fortier, 54, passed away peacefully at home on January 14, 2019 after a 10-month battle with pancreatic cancer. He was a life-long Bristol resident, the youngest of the five sons of Eva Collins Fortier and the late Joseph ”Jimmy” Fortier. Aside from his mother, Glenn leaves brothers David, Edward, James and Gary; sisters-in-law, present, Mary and, formerly, Diana; many nieces and nephews, including Nicholas, Elizabeth, Gregory, Chelsea, Christy, Genevieve, Brett, Brandon, Dominique, Haley, Hannah and Serenity; grand nieces and nephews; and many friends, including several who were with him in his final days and hours, including Gene and Judy Mitchell, Philly and Toni Stokes, Alex Monico, Stevie Oakes, Charles Driscoll, Randy Nigro, and Reinhard Walker. Special thanks to Niece Hannah and Aunt Tracey Swanson for their help during his last days. Glenn was not only considered a great friend but a mentor. Family and friends were the heart and soul of his life. Among his greatest achievements was being “Uncle Glenn,” a loving presence, there to call for a ride, to work on projects around the house, and, most important, to turn to for a compassionate ear and voice. More than one of the kids considered him a second dad. For each of them, he made time, advocated for as well as disciplined lovingly and fairly, always with each child’s welfare at the center of his concern. In his role as uncle, he also shared a mischievous sense of humor, which included passing along family rites of passage. He prided himself on doing things right. He was meticulous. He had high standards of excellence. No one demanded more of himself. An avid athlete and fierce competitor, among his fondest memories and successes was being a member of the Forestville Little League All-Stars, who in 1976 made it to 5th in the world at the Little League World Series in Williamsport, PA. In his favorite sport, basketball, Glenn led the Bristol Central Rams, along with long-time friend and co-captain Gene Mitchell, to a Colonial Conference championship in 1983. The same year Glenn received First Team All-City and First Team All-Conference honors. He earned All-State honorable mention. He was also named a WBIS Player of the Week. After graduating high school, Glenn continued playing basketball at Southern Conn. State University and Mattatuck Community College. Until injuries sidelined him, he continued to participate in sports in Bristol Boys and Girls Club leagues, on Bristol’s outdoor basketball courts, and on the Mix St. softball diamond. Favorite family moments included those annual vacations at Old Orchard Beach, ME. What he appreciated most and sought to attain for himself and those around him was a sense of peace and fairness, of course, infused with that contagious sense of playfulness. Calling hours will be from 10 to 11 a.m. at St. Joseph Church, Bristol, on Saturday, Jan. 19, with a service in the church immediately afterwards from 11 a.m. to 12 noon. Following the service, there will be a celebration of Glenn’s life at the Bristol Historical Society, Center St., Bristol. In lieu of flowers, the family has requested that donations be made to the Bristol Boys and Girls Club in Glenn’s name by sending checks, made out to Eva C. Fortier, c/o O’Brien Funeral Home, 24 Lincoln Ave., Forestville, CT 06010. Anyone who would like to contribute to funeral expenses, please make a note on the check.